Yahoo put out a new post on the Del.icio.us blog stating that, despite all indications otherwise, they will not be closing down the bookmarking service. They may have fired all of the site’s staff and included it on an internal slide as being “sunset,” but no, apparently the site isn’t being killed. Though they will most likely be selling it. According to TechCrunch, Yahoo has fired the entire staff of the Delicious social bookmarking service and will be shutting it down shortly. (Along with Altavista and MyBlogLog.) They will also be closing Yahoo Buzz and some of their API services. Suffice to say, I am majorly unhappy about this. I have been a Del.icio.us user for years, and have over 2,500 tagged bookmarks stored in the service. Yahoo is suddenly yanking the rug out from under users who have been depending on the service for years. We would gladly put up with ads, or maybe even premium plans. But no, Yahoo is just saying “screw you” to everyone. Yahoo is dead to me. One by one they are closing the few services that are worth anything. (I assume Flickr and the wonderful BOSS Search API can’t be too far behind?) The services that they are keeping around are things like their vapid content offerings and underwhelming webmail application. They are still stuck in the ’90s, and they are blatantly disregarding the assets that are their most valuable. Anyway, be sure to export your Delicious bookmarks as soon as possible so you don’t lose them when the site closes. Find an alternative service or simply import them into your web browser’s bookmarking tool. 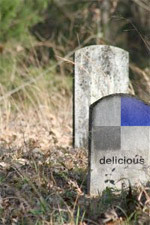 Update: Yahoo has announced that they will not be shutting Delicious down after all. StumbleUpon is transitioning into a new redesign, and changing some things around. The new design is much lighter, and puts the search field in clearer sight. In the post announcing the change, the fourth iteration of the site, they say that their goals are to make things simpler, searchable, and more social. The search has been improved, and now lets you chose to search within your favorites, everyone’s, or your friends’. It all looks significantly different. The “simpler” part of their mission has certainly been realized. It’s easy to navigate, and there certainly aren’t any unnecessary elements cluttering things up. The search, too, works as advertised. It’s good at digging-up what you’re looking for, and seems to be heavily weighted towards views/votes. It will be interesting to see if this drives more people to the main StumbleUpon site instead of just clicking away at their toolbars. I wonder if the iframe toolbar and Su.pr are also partially attempts at doing just that? Yet another shortener has sprung up, and this one is a bit different. Social media has really taken off in recent years. Few major blogs don’t have some sort of widget or icon on permalink pages to promote Digging, Stumbling, or whatever. Many blogs go nuts and have 26 different social bookmarking icons in a row beneath posts. Talk about clutter. StumbleUpon 2.0: Where is this Going? Apparently, StumbleUpon will be throwing the switch on some major changes soon, and changing how users interact with the service. The software toolbar will no longer be necessary (they had better keep it though! ), some new options for publishers will be introduced, etc. On Tuesday night StumbleUpon is changing the way users interact with the service, ditching the need for a software-based browser toolbar in place of a small frame that loads on top of the Web site you’re on. Users with the toolbar installed will still be getting the same experience, but the idea is that anyone can begin stumbling without having to install anything. To get the Web toolbar to show up in the first place, users must now begin their stumbling experience from the StumbleUpon home page. The site is now broken up into categories. Once you’ve clicked on a link the experience begins, with the persistent toolbar following you from site to site and keeping track of your ratings to provide you with new stumbles. You can read the full article over at CNET: StumbleUpon 2.0: Good-bye, software toolbar. 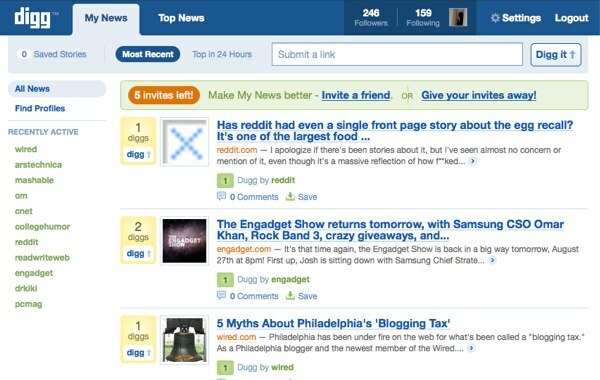 The popular social bookmarking site Del.icio.us redesigned over the past week. Overall they’ve kept a similar look, and haven’t lost any of the simplicity. It’s more polished looking, and probably more usable. Oh, and they’ve dropped the dots from the URL, becoming Delicious.com. There’s more to using StumbleUpon than just clicking the Stumble button and landing on random web pages. How do you think the pages ended up in their index in the first place? Someone had to submit them first. Don’t just Stumble. Submit pages, review them, tag them. Do more than just channel-surf, contribute to the community.